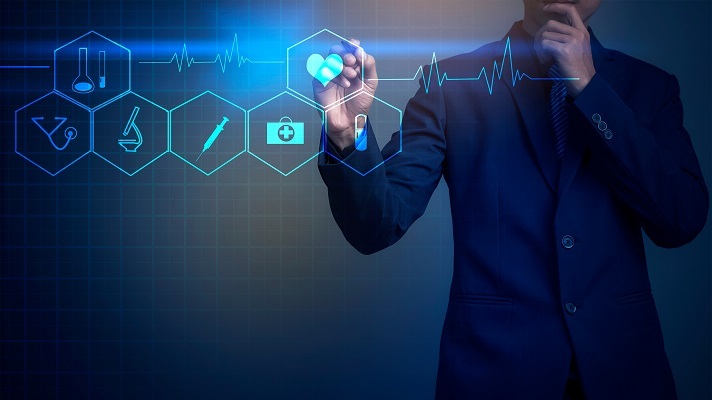 Saint Joseph Mercy Health System, part of Trinity Health, which is headquartered in Livonia, Michigan, was working on improving its patient throughput and identified an opportunity to implement real-time analytics to help accomplish this goal. The health system operates in a value-based care market. Its hospital, like many hospitals across the country, works hard to elevate patient safety and quality while at the same time keeping costs down. So the health system turned to analytics and data visualization vendor iDashboards. When it adopted iDashboards technology, the health system saw value in bringing the vendor's real-time information sharing capabilities to the forefront of the provider's decision making process. "We were looking for a solution that could easily communicate performance indicators to both executives and staff," said David Bobryk, director of clinical informatics at Saint Joseph Mercy Health System. "Regardless of an individual's unit or job role, this visualization tool brought everyone together, operating off the same information, and encouraged transparency throughout the hospital." This led to clearly defined goals, better overall teamwork, improved delivery of care for patients and greater efficiencies across the organization, he added. There are many analytics/data visualization tools on the market that healthcare provider organizations can use. Vendors of these tools include Alteryx, Chartio, Domo, Highcharts, IBM Watson, Microsoft, Qlikview, SAP Analytics, Sisense and Visme. Everyone in the health system, from executive leadership to frontline staff, sees the same information, and if performance begins to slip in a particular area, staff can proactively respond in real time to address it before it becomes a problem. "Television monitors have been set up in every department throughout the hospital so that everyone has access to iDashboards' visual information board," Bobryk explained. "Though we continue to evolve, as of today, information displayed is a compilation of data from 23 different vendors, which includes but is not limited to Cerner,TeleTracking, Press Ganey, HealthQuest and At Your Request." "Together, these initiatives and many other similar initiatives across the hospital have helped propel our hospital's improved quality, patient safety standards and the experience of our patients." All of this data is seamlessly integrated into the iDashboards system, filtered and shown in iDashboards' visualization tool, which is seen and discussed by staff. These real-time performance indicators supplement staff huddles and other efforts, and provide teams real-time insight into how they are performing. After opening a new hospital cafeteria, the health system experienced challenges with its food delivery times to rooms. "With the help of iDashboards metrics, we were able to establish a baseline average of each meal – breakfast, lunch and dinner – and the amount of time it took to deliver each one," Bobryk explained. "In just six months – from March 2018 to August 2018 – we were able to reduce breakfast delivery times by 28.6 percent, lunch delivery times by 19.4 percent and dinner delivery times by 15.8 percent." In a separate initiative, Saint Joseph Mercy Health System tracked hourly rounding compliance by nursing staff to ensure that the needs of the patients are met and that safety, quality and care progression goals are analyzed and tracked. In just over a year – from August 2017 to July 2018 – the health system's hourly compliance rate improved by 78.9 percent. "Together, these initiatives and many other similar initiatives across the hospital have helped propel our hospital's improved quality, patient safety standards and the experience of our patients," Bobryk stated. "We know this because using the technology, we track patient feedback to ensure maximum patient satisfaction." Not only is it satisfying to know the provider organization is delivering excellent care to patients, these reviews also have a profound financial impact since reimbursement is tied to scores, he added. "The most important thing for us was having had the support of our senior leadership," he advised. "To be successful, you will need executives to commit themselves to helping build broad support amongst staff, including buy-in from managers and directors." In the case of St. Joseph Mercy Oakland, the health system benefited from having had a well-established culture that encourages continual improvement, he added. Because of this, staff was willing and eager to adopt new technology that could aid in their job performance, he concluded.